The odds are the key to what I would call mathematical betting. Mathematics doesn’t factor in any emotion or opinion, it provides a sequence of numbers which will either be true or will be proven untrue. To simply read the odds and predict based on them requires little to no betting skill, and in fact one doesn’t have to be familiar with the teams, the league, or even the sport to bet. A wager of £1 offers a return of £7. A wager of £1 offers a return of £2. 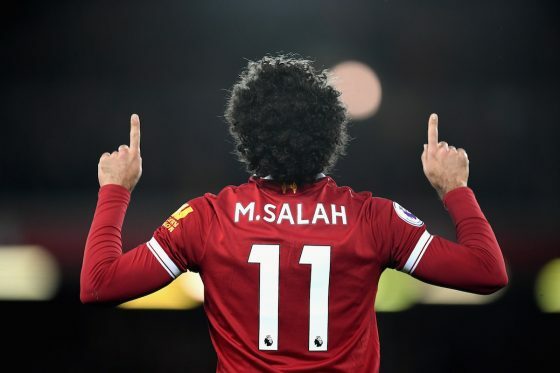 Taking a player one versus one has is an art; an art that should be encouraged and promoted if we are to see the exciting players who can dominate a game grow from the ranks of soccer. In every game there comes a time when the player, regardless of field position must make a move and beat the defender or lose the ball and sacrifice a scoring opportunity or allow a counter goal. Training players to make moves that can beat an opponent will lead to aggressive dangerous players who can make a difference on the field.. Remember, to be successful these moves must be internalized, so practice. This is the only way to learn. Players should be trained to make the move with enough time to beat the defender but not too soon as it will not throw the defender off; a good space is usually in the range of three to five yards. Players should be trained to be deceptive. Anything that is deceptive is good. The moves can be done without body fakes, however the more of the body that becomes involved the better the fake becomes so train your players to have shoulder fakes, head fakes, hip fakes and so on as they pull these moves. Players should be trained to have two speeds. A player who plays at one speed is predictable; easy to mark. As the player approaches the defender teach them to slow down a bit, then pull the move and accelerate past with a change of pace. This will throw the defender off, making it easier to beat them before they continue on their way with the ball still in their possession. 4) Beat them and accelerate past to get behind them. FIFA seriously needs to do something about diving, or as you like to call it “simulating.” Now I am not the biggest football fan. To be honest my fandom extends to wherever Australia are playing internationals against sides that aren’t Oman or Vanuatu but I know that there is a big issue creeping into sport worldwide and I blame it on football. To not only allow but seemingly encourage simulation is inspiring coaches and players from other sports to do the same. For it to be an actual tactic used in a sporting contest is beyond absurd. Sport and acting have and always should be mutually exclusive. Now we see in American Football, Rugby, Basketball and even Water Polo players staying down or even faking it to get advantages from officials. This was never in the DNA of these sports. It is seeping across sports from one source, football. The worst place for it at the moment is here in Australia in the National Rugby League. The on field officials seemingly as blind as football referees are constantly missing illegalities in tackles but with the influence of the video replay and video referee they are staying down to halt play to give the referees time to observe video replay of it and award a penalty. Now there are so many things wrong with that that lie squarely at the feet of the National Rugby League, but the inspiration for this sort of behaviour comes from football. These games are all beautiful in their own right and would be so much better without this in their makeup but football seems so absurdly backwards in its administration on this subject. In the same way that the NRL is using video refereeing to find illegalities, FIFA need to introduce to the big european leagues and international football, video refereeing, to determine when a player is diving and stamp it out. Not only for the good of their own game but for the good of other sports. Football will be taken more seriously worldwide if this is done bet your house on it. Zlatan scored a hat-trick against Toulouse today. It was a great game which PSG won by 4-2. Every football fan knows about the FA Cup, one of the most prestigious awards for teams at the top of their game, but did you know that the Football Association Challenge Cup (to give it its full title) is the oldest knockout cup competition in the world? 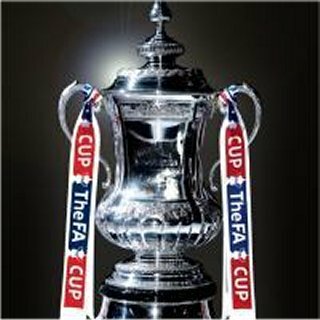 The FA Cup began in 1871-72, and is often considered a more glorified competition than the English League cup, which involves only the twenty teams in the Premier League and the seventy two members of the football league. The first FA cup took place way back in the 1871-72 season and had only fifteen entries. A very modest amount considering over seven hundred took part this year! Wanderers, a team formed by ex-public school and university players, won the very first final. They beat the Royal Engineers 1-0. The match was attended by 2000 supporters who paid a shilling for the honour. The original trophy was made by Martin Hall and Co and cost a grand total of twenty pounds, although it was much smaller than today’s award. After Aston Villa won the cup in 1895, it was stolen from the window of a firm of football outfitters, where it was on display, and was never found. 42 clubs in total have won the FA Cup, with Manchester United winning the most times (11) followed by Arsenal (10) and Tottenham Hotspur (8). January, 1922, saw the first turf being cut by the Duke of York, who later became King George VI, and the building of Wembley Stadium began. The Cup Final was played at Wembley every year, excluding the war years, until 2000, when it switched to the New Wembley Stadium. The first final was played in 2007. The competition has been established as one of the country’s great sporting institutions. Sports Betting Brings a Little More Joy to Your Holiday Season! So you’re sitting around the house, wondering what to do all of this holiday time that you have coming up. There’s only one way to really make sure that you spend the time wisely — and that’s to relax! Yes, we said it here first — you probably don’t spend nearly enough time just relaxing and letting life pas around you. We tend to live in a culture where you need to always be rushing from one place to another, but that’s not really the case. That’s not really the way it needs to be. You just need to make sure that you focus on the path ahead of you and get things done. Your relaxation is just as important as every other goal that you have in your life. If you are already interested in gambling, then we have good news for you: sports betting brings a little more joy to your holiday season in so many ways. First and foremost, it’s something that can get you real money. During the holidays and right before the start of the New Year, this is definitely a time where people want to have extra money. Betting on the big games isn’t terribly hard, and if you’re right you can add a little extra money to your pocket. Game after game, this can really add up to a lot of money if you think about it. We’re not saying that you should start sports betting as a second career, but we’re going to be honest — it couldn’t hurt to have this little game in tour back pocket, so to speak. It’s also a great way to meet new people that are actually interested in the same things that you are interested in. it’s hard to think that regular people that you meet offline might not be interested in everything you are, but it’s true — some people would prefer to stay out of gambling. And if you’re tired of explaining yourself to everyone around you, why not make sure that you can just go online and bet on all of the games that matter to you? 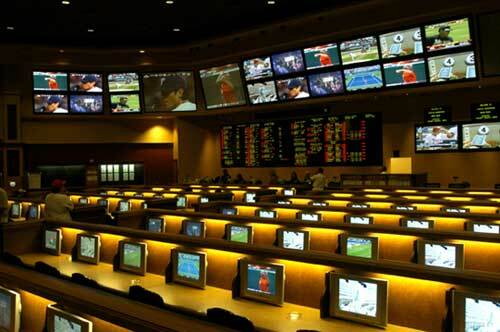 The online sportsbooks are always waiting for you, and always ready to help you in just about anything and everything you could possibly think of. So instead of feeling like it’s impossible to get things done, you just need to make sure that you understand your options. Why not give online sports betting a chance? You never know how much you could win! Love Soccer But Want More Fun – Gamble The Smart Way! Soccer fans have a lot of options when it comes to gambling. They can engage in soccer betting (also referred to as football betting), or they can pick another sport to bet on. The fun part is that betting on the big games makes you a lot more likely to not only watch the games, but to try to figure out everything related to the sport itself. It’s a great encouragement to stay active in the sports world as much as you can. The time is definitely right to make sure that you are looking at everything the right way, the first time around. Take the casino world, for example. A lot of people see ads for casinos and get excited — but is that really the whole story at work here? Surely there’s a way to really make sure that you know what you’re getting into when it comes to any casino. For example, if you’re looking for a review on some of the big online casinos out there, you can definitely find it. You just need to make sure that you take action as soon as possible rather than waiting until you run out of time to gamble. Since signing up and transferring funds can be pretty fast, it’s always a good idea to move quickly. It also helps you qualify for offers a lot faster as well, and who can really pass up a good deposit bonus these days? 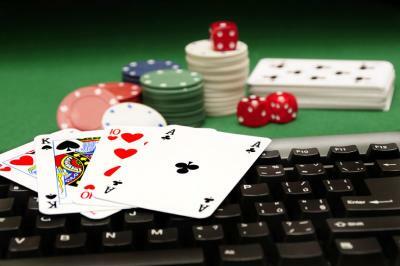 What we personally like about big online casinos out there is that you get such an easy to use interface. Then again, when one realizes that this is actually one of the largest casinos online, it’s easy to realize that it’s not something the casino company takes lightly. It’s very important for players to access exactly what they’re trying to access the first time around. There are plenty of progressive jackpot games that just go with the classic casino games, meaning that you can get a guaranteed prize just for playing the game itself. That’s a lure that’s hard to resist. The payout percentages are actually quite good, with 97.03% payout across all games of most online casinos. That’s something that you really can’t beat. It means that your odds of winning something are actually greater than you might expect. Of course, as the old saying goes — you cannot win if you don’t play. So it’s up to you to figure out your next move. Ronaldinho got the chance to prove himself on the international stage in the Club World Cup with his Atletico Mineiro. They secured a spot in this Cup by winning the Copa Libertadores . – The whole world will be watching this tournament. It’s my chance to take a place in the World Cup squad, said 33 -year-old before the Club World Cup tournament. Ever since Brazil was awarded the 2014 World Cup, Ronaldinho’s dream has been to end the career with his national team , in the biggest tournament on home soil. When Luis Felipe Scolari once again took over the national team in late 2012, Ronaldinho felt that his chances improved for a place in the team. But just before the Confederations Cup, this great player lost his national team place and the question is whether or not the dream of playing in the World Cup definitely vanished on Saturday ? Even though he scored a great goal with an awesome free kick, he was shown a red card in the 86th minute for a hard challenge. Ronaldinho’s contract with Atletico Mineiro expires in less than 2 weeks and the bronze match today might not only be his last on the international stage , but also for Mineiro . – Everyone knows that his contract expires in December, and the president ( Alexandre Kalil ) has said that only he himself can decide what he should do, says the star’s brother and agent Roberto Assis to Radio Grenal . Despite the red card, Atletico Mineiro won the game (3-2) after a late goal from Luan . 20 minutes after the end of the game between Liverpool and Cardiff, the song was still coming inside the Anfield. Cardiff’s owner, Vincent Tan, had given the manager Malky Mackay an ultimatum before the game against Liverpool: Resign or be fired. Cardiff supporters protested with banners and with songs against Tan’s decision and was also given support by the home supporters (Liverpool) who applauded their efforts. Not even the eccentric billionaire Tan could turn the blind eye for the fans effort to keep the manager. According to the BBC, the Malaysian withdrew his ultimatum to Mackay. Instead, the manager was called to mediation talks with the club chairman Mehmet Dalman to resolve the situation . In October , we managed to do so everyone could work together and we ‘ll try to do it again so everyone can move on. Now we have at least room for a dialogue which gives us an opportunity to resolve this . We want to work towards reconciliation and Vincent Tan has given us the ability to do it, says the president Dalman to the club’s website . Last season, Mackay managed to take Cardiff back to the Premier League for the first time in 53 years . Now , the fans have thanked him by saving his job. Right now, the manager will be Malky over the foreseeable future and will remain so if nothing else happens , says Dalman .